2018 certainly knows how to make an entrance. The Christmas turkey has barely been finished and we’re told that nearly every electronic device on the planet with an Intel processor (from servers to PCs, smart devices and more) are susceptible to not one, but possibly two of the worst critical hardware related flaws ever known (Meltdown & Spectre). Flaws that can allow a hacker to steal your data without a hint of detection. In cases like these we often hear “but I have the latest next generation antivirus software”, but it’s not going to help you here I’m afraid. “And I have the latest next generation firewall and a state of the art SIEM solution just installed” – no good for fixing this either. You may even be really good and have your staff trained in security awareness and your systems backed up offsite – but unfortunately neither will address the root cause of this global issue. Even Santa couldn’t help fix this one – that’s how serious this is. 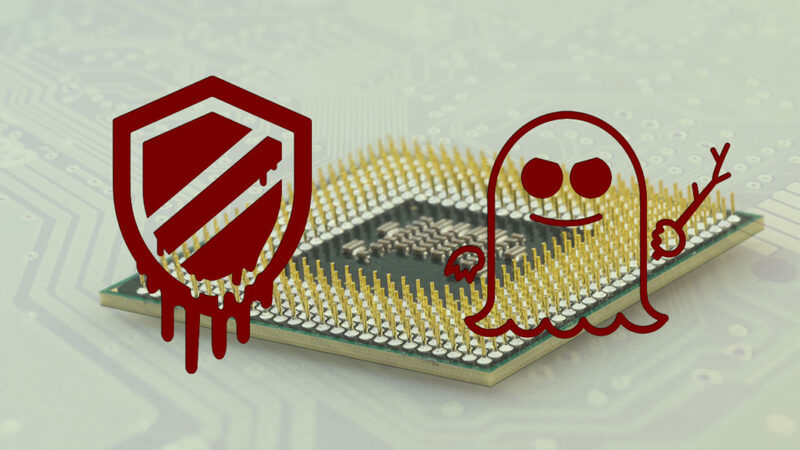 Meltdown and Spectre could be the worst ever bugs to hit electronic devices, making them easily hackable. The hardware flaws have been aptly named “Meltdown” and “Spectre”. They sound like something straight out of a James Bond spy movie – and to be honest – the names aren’t far off, given if exploited, spying on you is exactly what a hacker could do. Predictions have already come in from experts that this could be the biggest disaster in IT history, and similar to the KRACK WiFi vulnerability of last year, Meltdown and Spectre could take years to fully fix. While important workarounds are available in some cases and must be put in place (see below) , only a hardware redesign in processor architecture will truly lay these bugs to rest. To make matters worse, now that the crafty hackers know about it and with the EU GDPR data protection regulation coming into force on the 25th May – we predict, this year is going to see some considerable cyber-attacks that will try to take advantage of at least one of these flaws which may result in some pretty serious data breaches and some serious GDPR related fines. Its time like these one would think “Why did we ever go paperless?”.